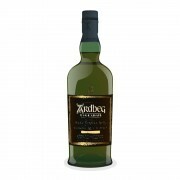 The ardbeg uigeadail is named after the source from which the distillery gets it's fresh water. The other part of the title suggests the iconic status this bottling has achieved, i for instance, rate the uigeadail from '08 as one of the best peaty malts i've ever tried. It is an icon also for having been very consistent over the course of it's existence. Which brings me to the whisky i am reviewing today, this is the 2013 Uigeadail, the one you would get if you bought one now. You would be happy to know that not much has changed. Nose: Big boat&road tar, honey, toffee and cola-cubes. Glögg and/or Gluewine over a fresh spring-nite bonfire. Seashore, seashells and it loses some of the peppery complexity on the nose compared to earlier versions, bit of a shame. The Peat is big and present throughout, but never interfering too much with the rest, smoke is swirling around all the scents. Palate: Honey-sweet iodine arrival followed by a big peat rush. Feta-cheese with honey-suckle (manuka honey). Juicy citrus and toffee appears swiftly. Now the peppers come in with wood-peppers, ginger and even a faint wasabi note, interesting! Finish: Juicy malt makes an appearance with even more Peat, smoke from a closeby beach bonfire and salivating, tannic, warm, juicy, sherry. This prolonges itself in a durable fashion to define the finish. 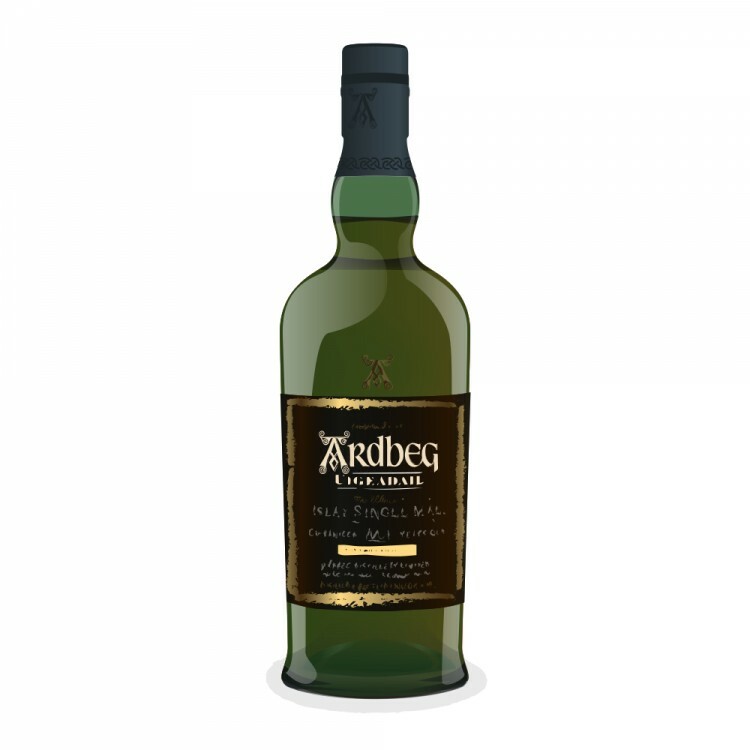 A modern classic that holds it's head well above ground, this malt is a steal although Ardbeg's have become more expensive with special releases left&right alongside older collector bottlings, all the while the 10 year old has gotten more expensive due to circumstance. All things that makes this malt so attractive, this really is the pick! Mostly though because of the taste that seems eternally big&steady! A south-islay Giant!